It is very crucial and significant for the real estate firms to follow the ethical and clear routes of dealings and business operations with the customers, vendors, banks, financial institutions, government authorities, and investors as then only the company will be able to develop a positive perception in the market and industry as a whole. And despite all the market understanding, expert advice, and self knowledge; there are seldom realty firms in the city of Mumbai that are able to follow the aforementioned fundamentals and ethical procedures and are able to carve a niche for their brand in the market and in the minds of their customers. And the ones that are ethical and transparent in their dealings and the overall operations win the hearts of the customers, critics, and industry experts owing to their efficiency and effective work practices. 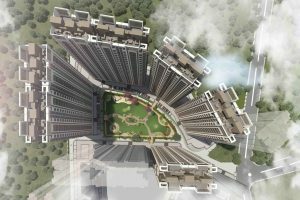 Of all the realty brands in the locations of Thane Down such as Ambernath, Kalyan, Dombivali, Ulhasnagar, Shahpur, and others; Regency Group is one of the coveted and finest brands in the industry and since our inception in the year of 2001 and we have grown from strength to strength following our ethical construction practices, quality workmanship, and the customer service experience that is par excellent. Our Regency Anantam Sales Office has been winning all the accolades and appreciation along with the project as it’s huge in planning and designing and extravagance defines the class and luxury of the project in the most magnanimous fashion. Plus our Regency Anantam Dombivli Rates are quite affordable and pocket-friendly in nature without any sort of compromise on the facets of quality and class. Come and experience the spheres of quality, affordable luxury, class, and excellent customer service experience at our project site that is located near to the station.